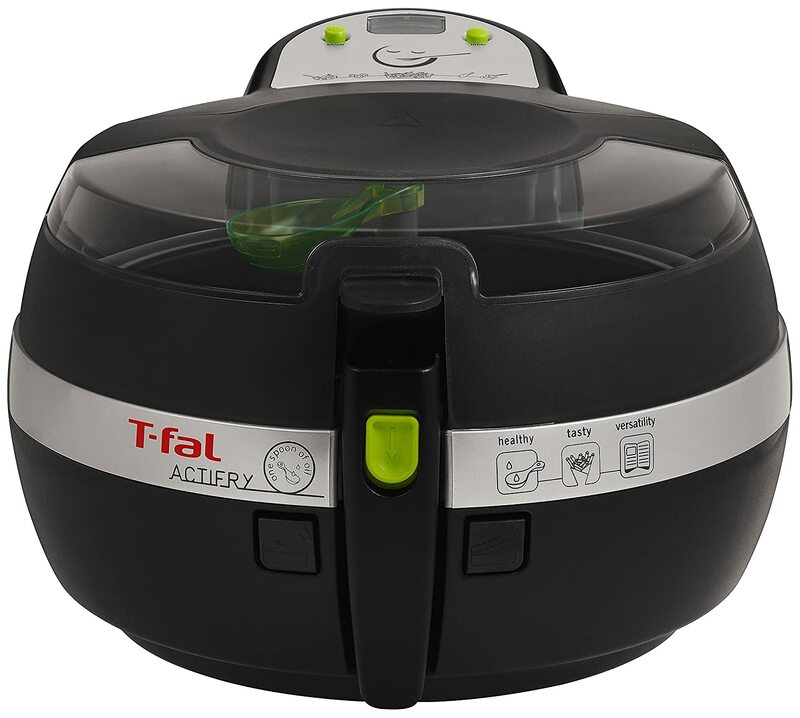 Are you looking for an AirFryer that makes it feasible to enjoy healthier versions of your favourite foods by frying them with a tbsp. or less of oil? If so, Philips HD9220/26 AirFryer with Rapid Air Technology can be the ideal one you’re looking for. 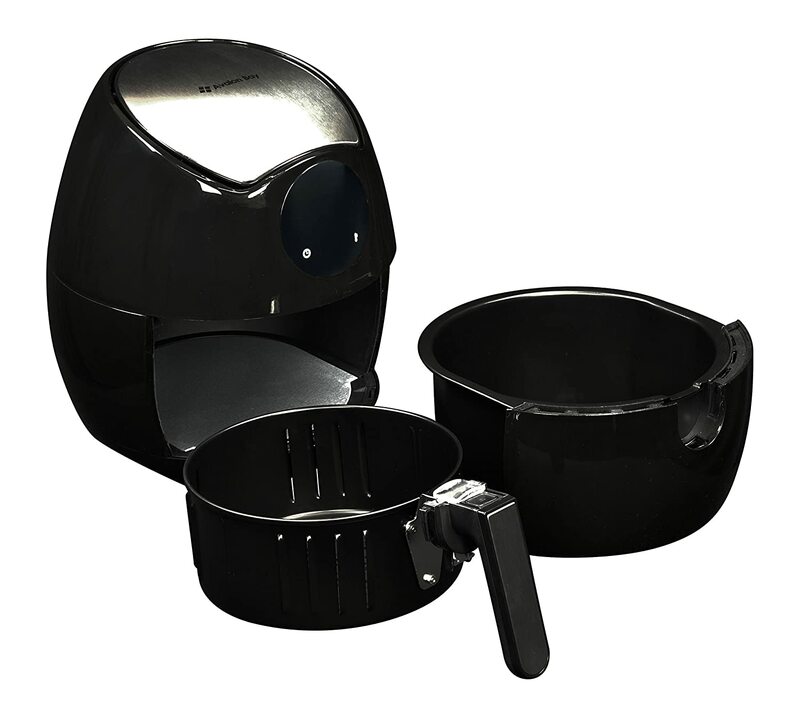 Rapid Air technology of this air fryer circulates air around the whole unit; heating up to 390° F to make sure all food is cooked equally throughout. Meals become crispy on the outside & juicy on the inside with little or no oil. This unit has 2 dials, one for timer & another for temperature control. 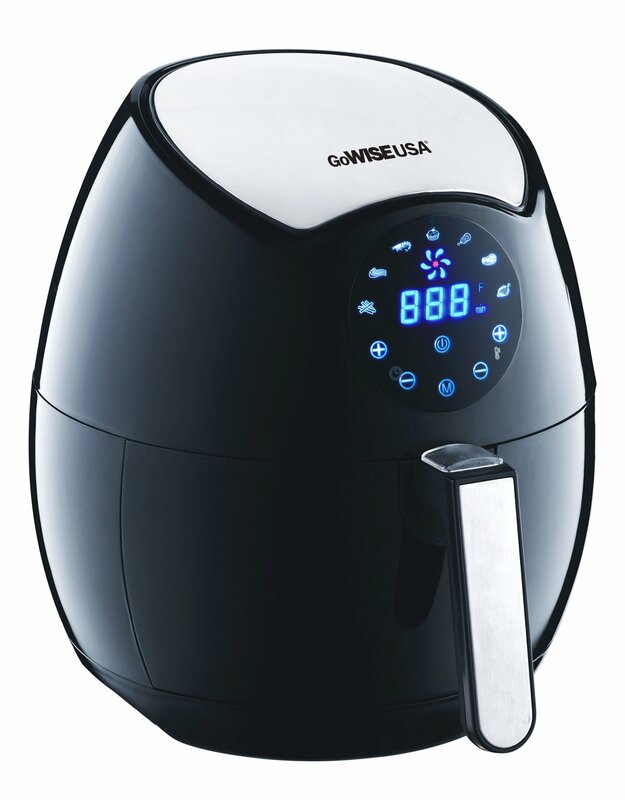 You could easily set the timer to a maximum of thirty-minuet & optimum temperature of 390° F. AS soon as, the cooking time is reached the timer will set of beeping sound & the fryer will auto shut off, thus avoiding over cooking of food. It’s really simple & easy to use. You don’t have to watch over the food during cooking. 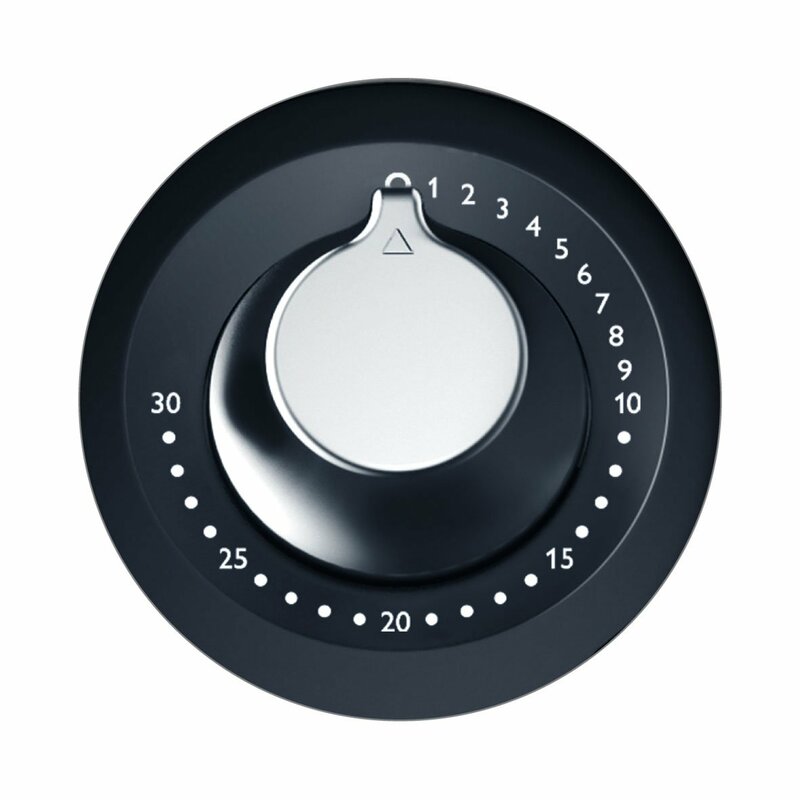 Simply get the cooking time right & the beeping timer will let you know once the food is ready. To remove the basket handle from the basket, press down the button & then lifting it up. No twisting is needed. 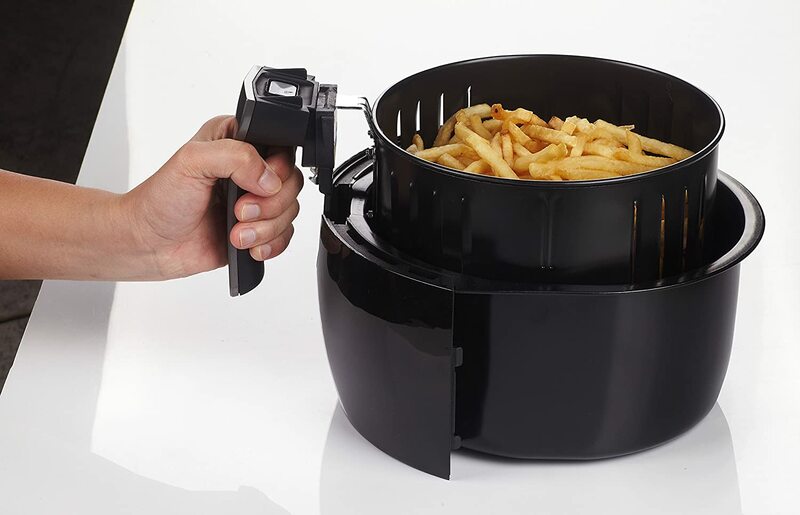 Not just ideal for frying, the impressive Philips Airfryer with Rapid Air technology also allows you to grill, bake & even roast your preferred recipes for a one stop solution for each of your meals. 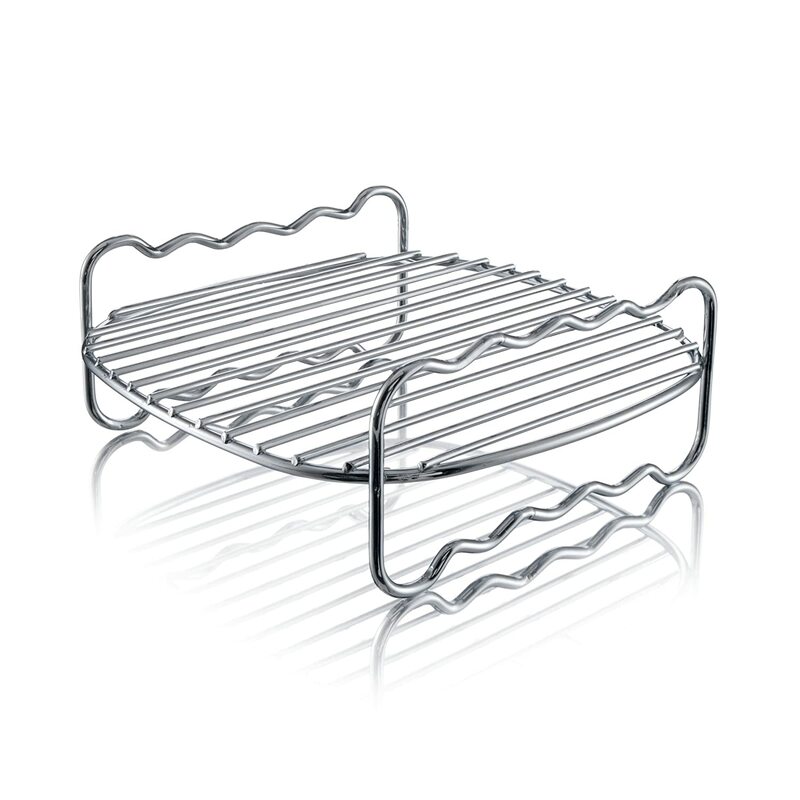 The detachable nonstick coated drawer & the food basket are dishwasher safe for an easy & quick clean up. 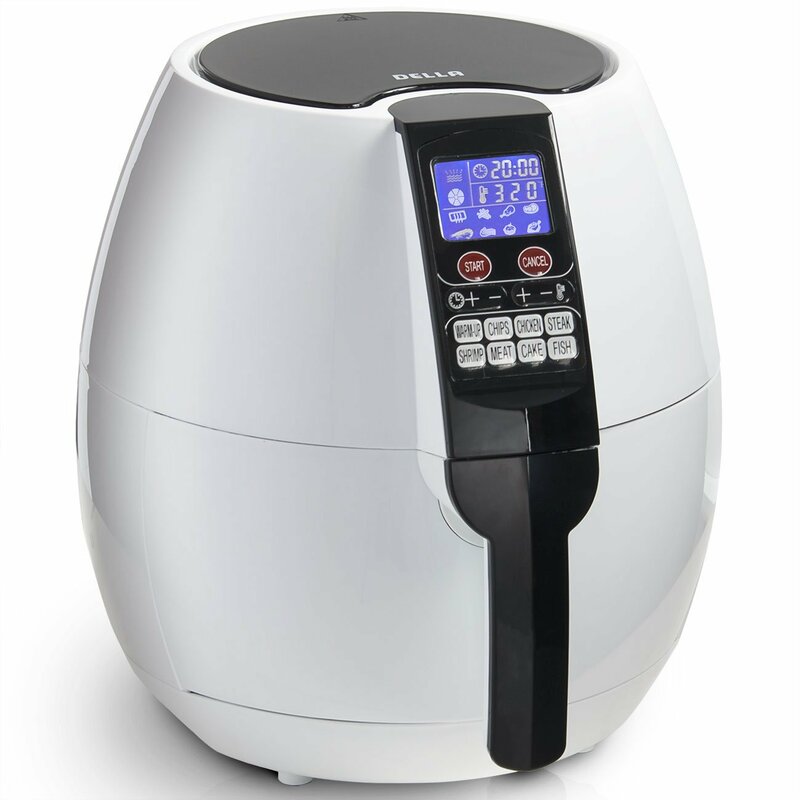 This air fryer saves you & your home from the odor of fried oil compared to a normal fryer. 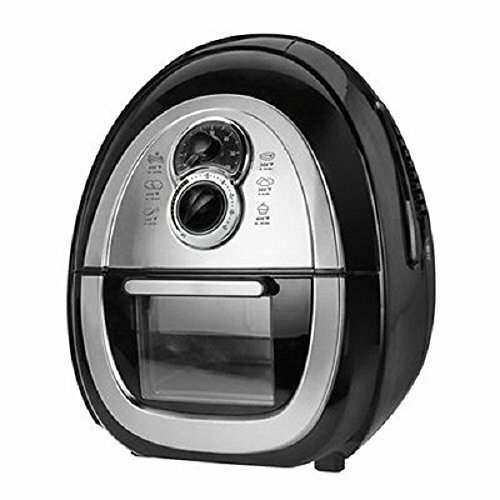 It has a recipe booklet with more than 25 yummy recipes created specifically for the Philips Airfryer. This recipe book developed by culinary experts provides inspiration for a range of low-fat fried food which you could cook in the Airfryer. 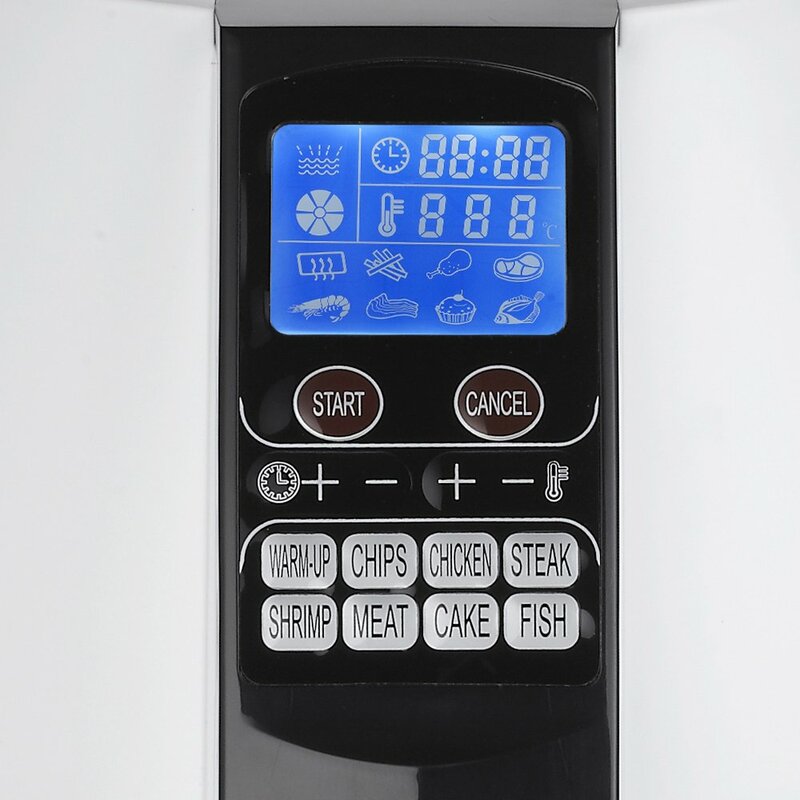 Also, it introduces you to recipes, which showcase the flexibility of the appliance so that you could grill, bake & even roast food faster, healthier & more conveniently. 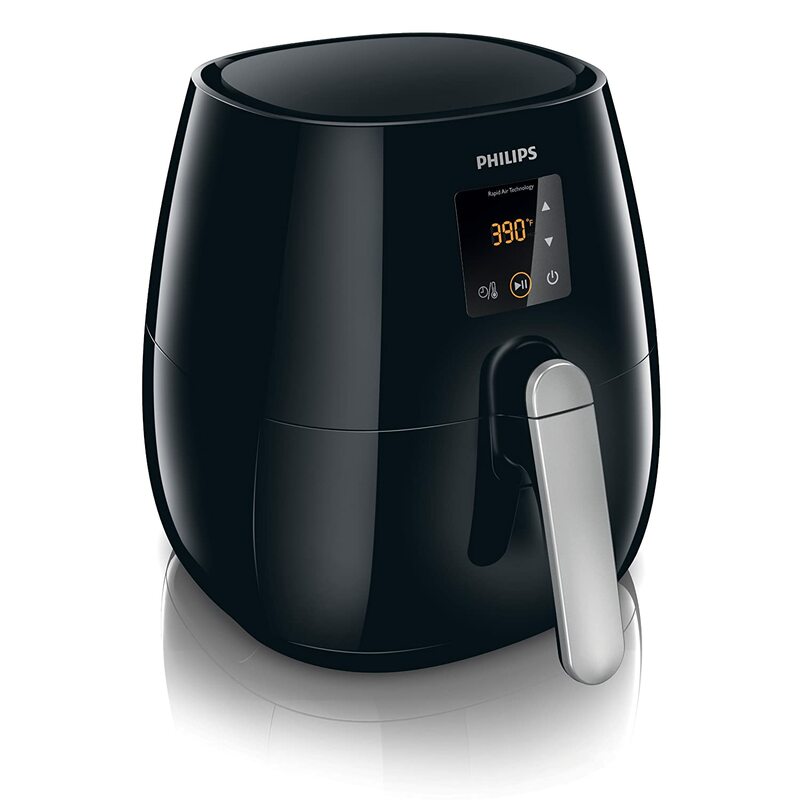 The Philips HD9230/26 Digital AirFryer is rate pretty high with consumers because it’s simple to use, easy to clean & give excellent results. 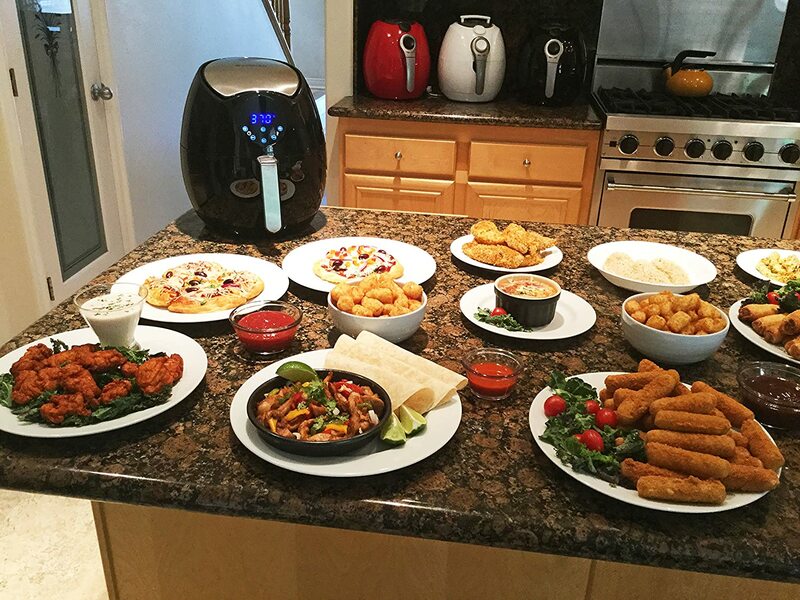 Cooking is even & consistent, most importantly, this air fryer offers a delicious & healthy alternative to deep fried foods.